Being a parent can be so hard sometimes. And lately I’ve been having a bit of a hard time myself. There have been a lot of moments lately that have left me feeling deflated as a mom, and I’ve actually found myself thinking “oh, I’m so ready for this stage to pass”. 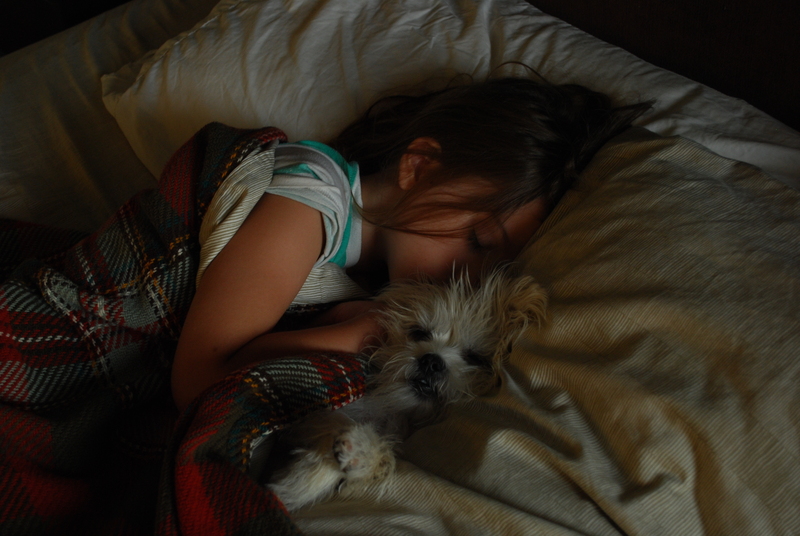 Then, you get to walk into your bedroom and find your baby 7 year old looking so comfortable, peaceful…and loved. And I realize, I must be doing something right. Life is all about choices. Sometimes the choice is clear: there’s a right answer and a wrong answer. We make our choices based on the expected outcome, and the consequences of those outcomes. But, the hardest decisions to make are the ones where there is no wrong or wright answer. Brian and I have found ourselves at a point in our lives where we are ready to make some changes. 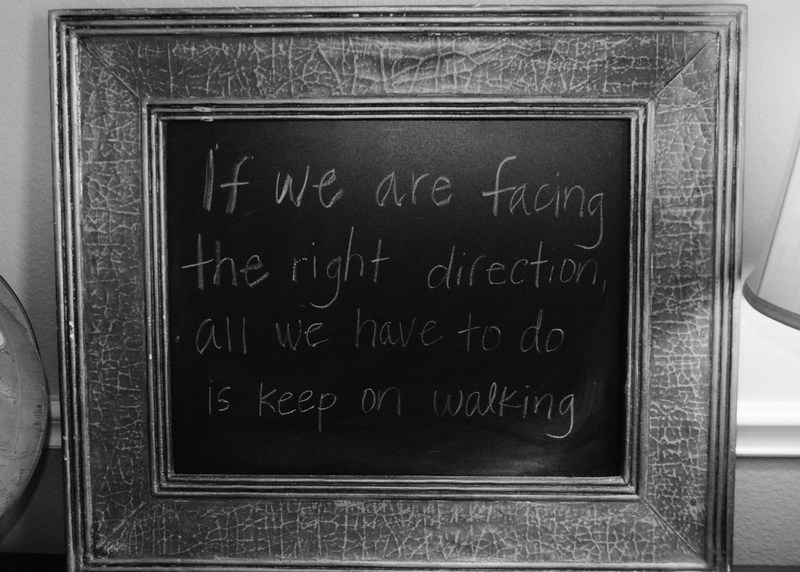 We are fortunate that the choices are our own, but it’s hard to make big decisions when the “right” path isn’t clear. But, I don’t subscribe to the idea that there is some ultimate plan. I think that whatever choices we make are our own. We get to choose our own way sometimes. It won’t be wrong and it won’t be right, it will just be. Whatever we decide for our family will be the right choice, because it’s the one we will make together. As long as we keep in mind our goals, we will get there, even if we don’t have a road map. Sure, sometimes it’s nice to have it all laid out before you, but just like the best road trips–you can plan for some things, and make up the rest as you go along. It’s amazing the difference some yoga and a salad will do. All I did were 10 sun salutations twice over the weekend and I’m already feeling calmer and more like myself. Plus, I’ve eaten more veggies in the last two days than I have in months, and what do you know? My tummy is improving! (I have to be honest, Prevacid has helped, too). I’m still not 100%, but I know I will be. And, isn’t that what makes life easier? Just knowing we will be OK. In the words of Honest Abe, “When I do good, I feel good. When I do bad, I feel bad. That is my religion”. So, in my plans to do good, I’m making positive changes. I’m not committing to some kind of blog series, or anything like that. But for now, I’ve got goals and I figure this is my blog, so I can just use this as my diary. I’m starting small because a little at a time is best for me. It’s all about baby steps. Slow cooker versus microwave.